Fast Glass Geelong provides professional advice as well as a supply and installation service for your glass balustrading or privacy barriers in the Geelong area. Fast Glass Geelong specialise in custom-made semi-frameless or frameless glass balustrading and privacy barriers. Glass balustrading opens up your space to natural light whilst maintaining safety. Balustrading glass complements other natural building materials, whether it be an internal timber staircase or an exterior brick balcony. Balustrade glass is a popular choice for barriers as there is minimal framing, is sleek and elegant and allows uninterrupted views. Glass balustrading is easy to clean and maintain and has an unlimited lifespan. Our support fittings used with our glass balustrading are made of quality stainless steel and our glazing techniques are of commercial quality. Our experienced glass technicians have many, many years of experience in the installation of glass balustrading and can advise on the best and safest possible solution for your situation. Australian Standards and their absolute adherence are essential to ensure your protection and safety around water. 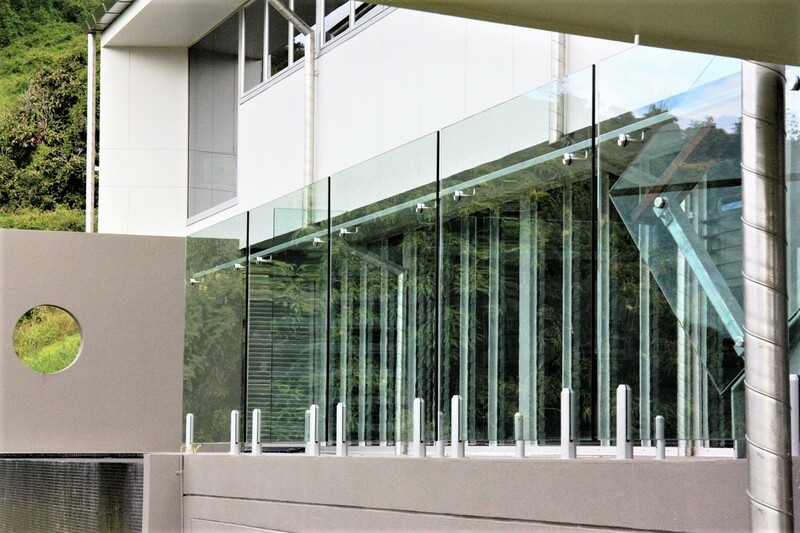 Our priority, therefore, is to ensure all glass balustrading is constructed in A Grade toughened safety glass and complies or exceeds AS1288 Australian Safety Standards. Fast Glass Geelong is proud to serve customers in all areas of Geelong, the Bellarine Peninsula and Surf Coast Shire. From our central base in Geelong, your new glass balustrading can be supplied and installed in no time at all.